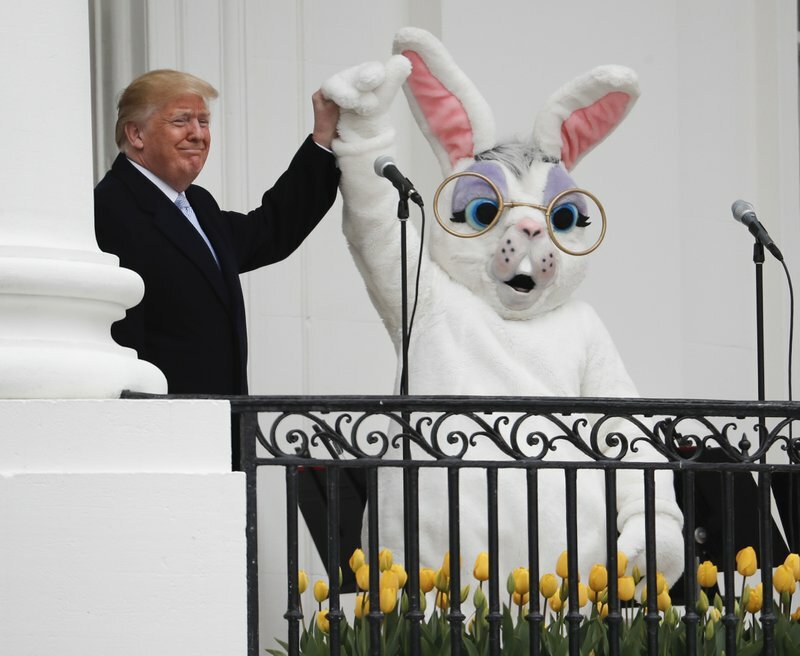 With overcast skies and temperatures in the 40s, President Donald Trump declared it was “perfect weather” on Monday for the annual White House Easter Egg Roll. Nearly 30,000 parents and children were expected to participate in the all-day event. [post_ads]Morning rain dampened the festivities, but the skies had largely cleared though it remained chilly by the time Trump and his wife, Melania, walked down the stairs from the Blue Room balcony to join guests on the South Lawn. He helped kick off a few egg-rolling games with a “ready,” ″set” and the blow of a whistle. “You ready, kids?” the president said as he and the first lady blew whistles that set a group of children scampering and using wooden spoons to guide dyed, hard-boiled eggs across a portion of the sloping South Lawn. They blew the whistles several times before moving to a card-making station for U.S. troops. In all, the White House said it expected nearly 30,000 adults and children to stream through the gates. Thousands of volunteers worked during the weekend to help set things up and on Monday to help keep the lines moving.